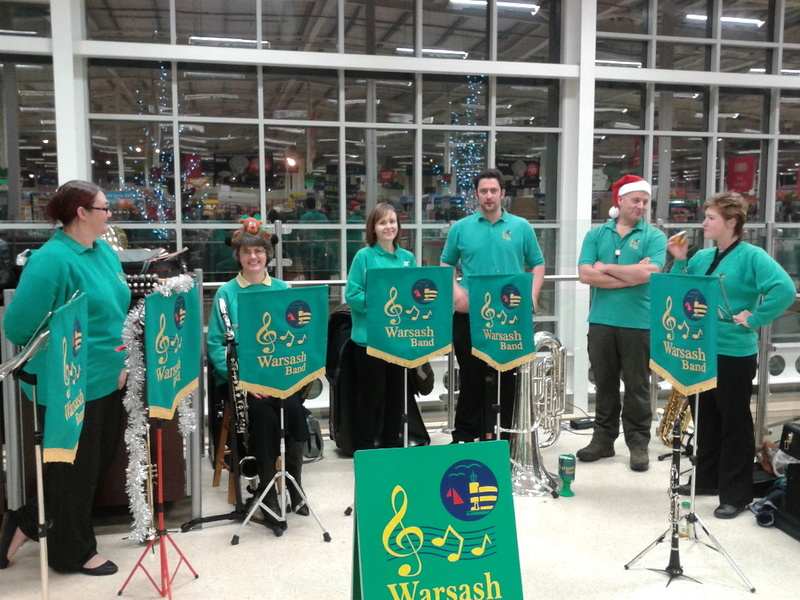 The Warsash Band have been out and about playing traditional Christmas carols in the local shopping centres. It all started back in November in Locks Heath when the lights were switched on in the Locks Heath centre and the band have hardly had time to catch their breath since. From Fareham town centre to Sainsbury's at Hedge End, Tesco at Whiteley to Tesco at Fareham, the band have been entertaining crowds of shoppers with festive favourites - and giving them the chance to join in playing our famous sleigh bells! "We've been extremely busy this year with our carolling schedule but the band members love being out in the community. Look out for us again next year."